Grandmaster Mickens began training with his mentor, Grandmaster S. R. Moreland in 1968. He has earned black belts in TaeKwonDo, Hapkido & HoShinDo. Through the years he has won many local, Regional and National Championships including Grand Champion at the American International Tournament. Most recently he was inducted into the 2015 Korean Martial Arts Masters Hall of Fame. His goal is to share his vast knowledge and experience with every student. Starting with basic martial arts physical & mental techniques each student is taught at their own pace. With each achievement their foundation grows stronger and the addition of real world self-defense is added. 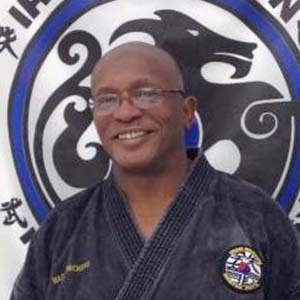 Grandmaster Mickens believes in and lives by the tenets of martial arts. Most important is the appreciation of the many parents for his mentoring their children with his patience, perseverance, preciseness, and kindness.